Greg Blake joined the B & F team in August 2012. 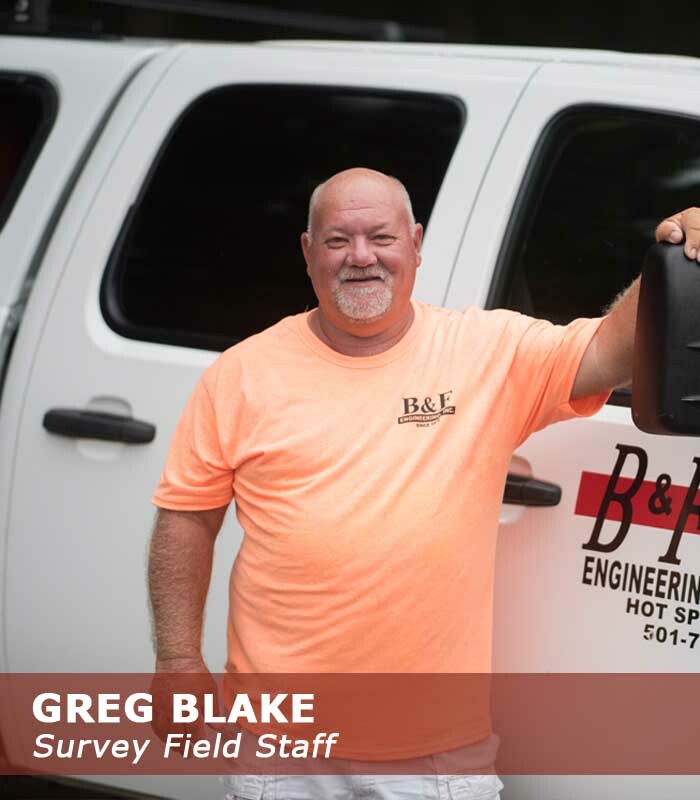 He is currently working as a field crew member and has experience as an inspector for one of our original clients, beginning in 1972. In his time away from the office he enjoys spending time with his wife Lisa and their 2 boys. He loves the outdoors especially when he can hunt and fish.